Pulling a quick holiday outfit together is a sinch at anatomy. 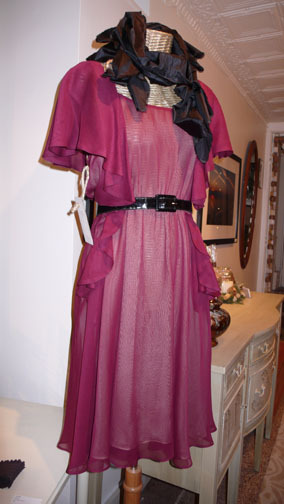 With feminine and flirty frocks like this silk chiffon dress, paired with a raw silk ruffled scarf and a Sweet N’ Dirty vintage belt you’ll wow everyone in the room! Just put on your fave black boots and go get em girl!! !